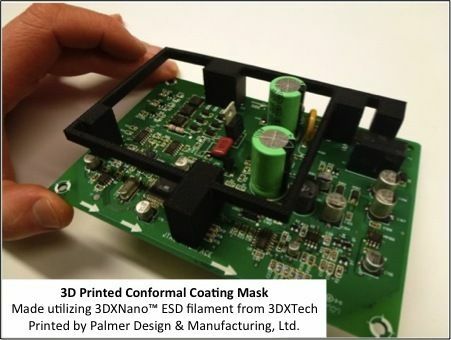 3DXSTAT™ ESD PLA enhanced compounds are used in critical applications that require electrostatic discharge (ESD) protection and a high level of cleanliness. Manufactured with consistency in mind, giving you a filament with excellent printing characteristics and consistent ESD properties. 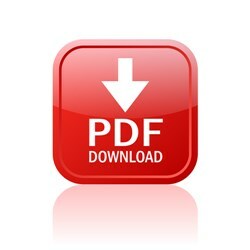 You will earn 158 loyalty points with this purchase worth £1.58 that you can use on this order. 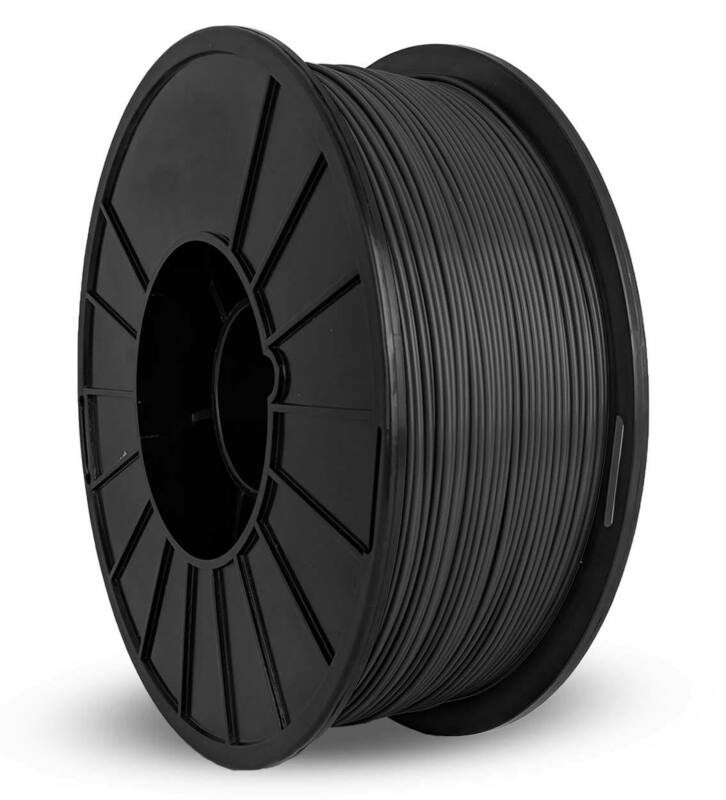 3DXSTAT™ ESD-SAFE PLA 3D Filament 2Kg spool. 3DXSTAT™ ESD PLA is an advanced ESD-Safe compound designed for use in critical applications that require electrostatic discharge (ESD) protection. 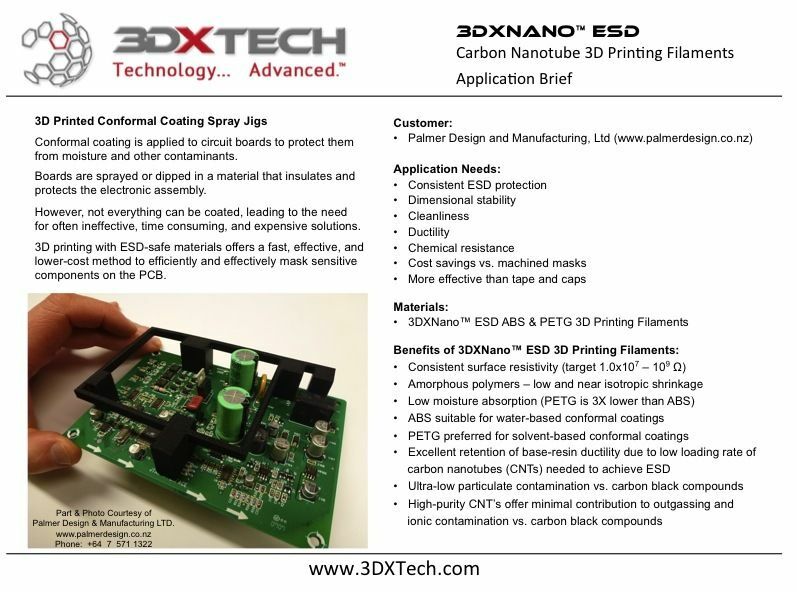 Made using cutting-edge multi-wall carbon nanotube technology, state of the art compounding technology, and precision extrusion processes. Target surface resistance: 10^7 to 10^9 Ohm. Extruder Temp: Typically 210-220°C. 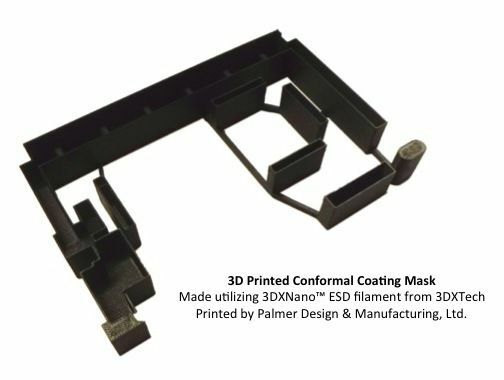 3DXSTAT™ ESD PLA is a filled product and has a higher melt viscosity vs. unfilled PLA. 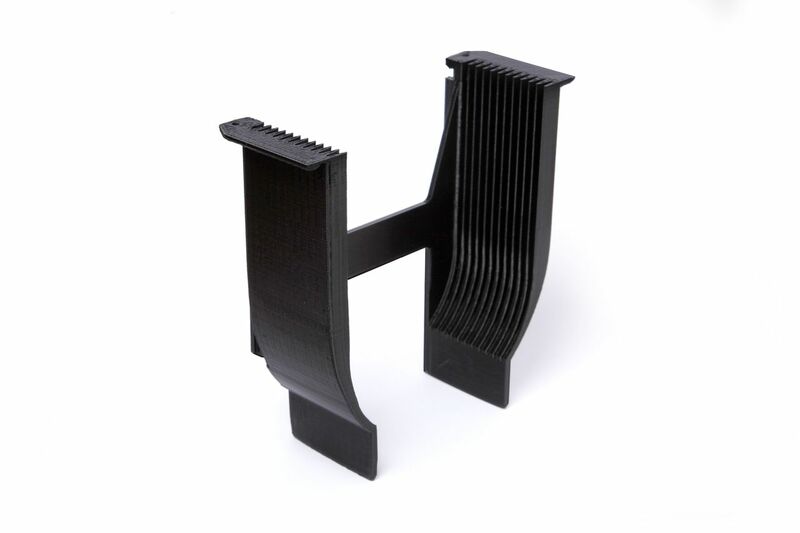 Therefore, it is sometimes necessary to print at higher temperatures than your standard PLA to allow the resin to flow properly. This ESD PLA is not only ESD but it is extremely strong versus regular PLA. We have found ourselves using it for everything not just where ESD material is needed. It is 10 to the 6th as far as ESD material goes we use a concentric ring tester. Other materials that claimed to be ESD were way off at 10 to the 11th. I really hope 3DXTECH never stops making this material. Prints out great structurally with great layer adhesion. This ESD-PLA prints just as easily as standard PLA. It is great quality and is verified ESD safe. I print at the suggested settings except I left the extrusion multiplier at 1 and not the reccomended 1.15-1.2. I tried printing at both but the only differences i noticed were dimensional. 10/10! Product was easy to use and passed our ESD test criteria.